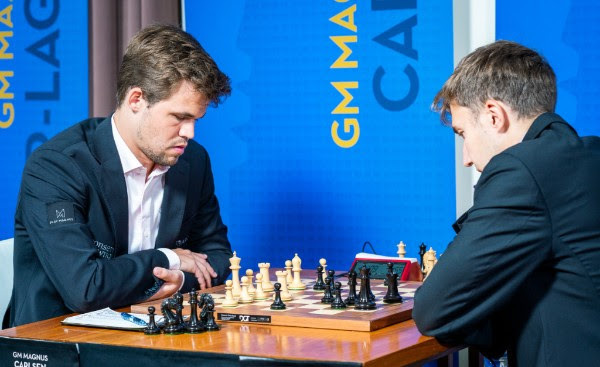 At the end of a marathon 88-move game, Magnus Carlsen emerged as the only victor of the round, joining Mamedyarov and Aronian in a tie for first place. Four out of the five games ended in draws within the first three hours of the day, but the World Champion was determined to put his white pieces to good use. 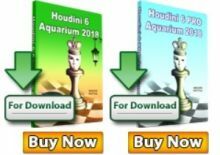 After 6.5 hours, Sergey Karjakin finally admitted defeat – his second one in a row. Carlsen was quite satisfied with his victory, specifically because he felt as though he hadn’t had a chance to win such a game in a long time, especially during his last World Championship match. Although exhausted, he was gracious enough to sign autographs and pose with fans for photos after the game. Tomorrow’s round is crucial for the standing as Carlsen will be facing one of his closest rivals, Levon Aronian with the black pieces, while the other co-leader, Shakhriyar Mamedyarov will have the white pieces against Fabiano Caruana. The game started off slowly – quite literally. Surprisingly, Carlsen spent 20 minutes on move six in a very normal position. Maxime Vachier-Lagrave explained that Carlsen had a lot of options in the opening and was trying to pick a continuation that would give him the best chances to win. The endgame position they reached was very Carlsen-esque: slightly annoying for his opponent with no chances for him to lose. Carlsen sacrificed his rook for a bishop and a pawn, creating a new king of imbalance. Immediately, Karjakin made the dubious decision of giving up another pawn. In the postgame interview, Carlsen admitted that he was nervous about the unavoidable blunders that would happen, which is exactly how the game was decided. In an already tough position, Karjakin erred one last time, losing his final pawn and any hope of salvaging the game. 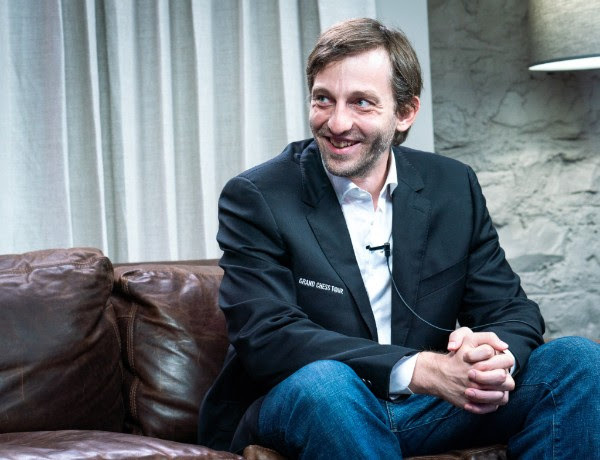 “What is funny is that yesterday I played the number two player in the world and today I played the number two player in the world”- Alexander Grischuk, during his postgame interview. Of course, he was referring to his opponent’s rating climb after his Round 1 win over Wesley So. Mamedyarov chose a sharp line in the Winawer with the black pieces, which was played last month by Carlsen in Biel. 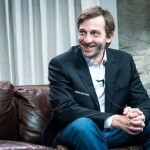 Grischuk didn’t have a high opinion of the opening line in general, humorously referring to it as a “joke line” saved in his notes. He was under the impression that it was close to losing for Black, but in fact, during the game, he realized that it was not so easy for White. “He’s very predictable, he’s very stubborn about this line and that gives you a target. On the other hand, he knows it inside out, so it’s hard to surprise. But it’s a clear target so I thought we could try something” – Viswanathan Anand on his opening choice. 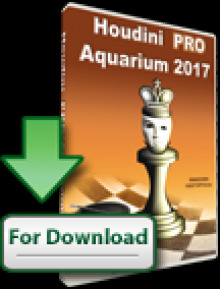 The former entered the murky waters of Vachier-Lagrave’s pet line, the Najdorf. Anand was happy with his position as it transposed into more of a French like structure, as most closed positions favored him. He regretted his dark square bishop exchange on move 24, allowing his opponent to build quick counterplay. The game ended in a draw by threefold repetition. Aronian was surprised by his opponent’s first move choice: 1.d4, as Caruana usually plays 1.e4. Aronian decided to respond with a Slav and see what would happen. 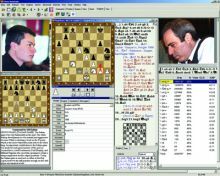 The World Championship contender was clearly uncomfortable in the opening and found himself in a worse position with the white pieces – a rarity at the top levels. Aronian wasn’t able to make much out of his advantage, settling for a draw. Caruana didn’t make the best use of having the white pieces in his first two games, but was happy to have escaped unscathed in this game. The all-American match up was a quiet affair. After losing his game yesterday, Wesley So did not seem to want to take any chances in his game today. His opening choice in the Nimzo Indian Defense didn’t make his opponent’s pursuit of equality very difficult. So exchanged the pair of rooks along the a-file, leaving very little material on the board thus making the peaceful result inevitable.